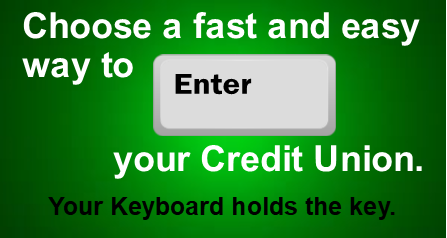 With a tap of your keyboards’ ENTER key, you can access your account on EEFCU’s Online and Mobile Banking and do your banking online, rather than waiting in a line. Safely check your balances, transfer money, pay bills, and more! Go to the Online Banking button at the top of this page and sign up today! With online banking, our doors are always open for business, 24/7 convenience for your lifestyle.